The United States leads the world in natural gas production due to a potent combination of available resources, geological know-how, and a robust extraction and transportation infrastructure. Second only to China, the U.S. contains 3 percent of the world’s total reserves of which half is produced right here in Texas and Louisiana, according to a recent news story by NPR. In fact, Texas leads the nation in natural gas produced from the Eagle Ford and Barnett shale plays. Beyond its important role in the US energy mix, natural gas is also the primary feedstock for a robust U.S. petrochemical industry, an industry that is a driving force behind the nation’s economic recovery. Much of this industry is located right here in East Harris county. Neils is not alone in making this claim, it has become a statement echoed in the hallways of the almost 200 companies located with the Houston Port Region. But why? What is it that is driving this development and how can Neils and others make this claim with such confidence? 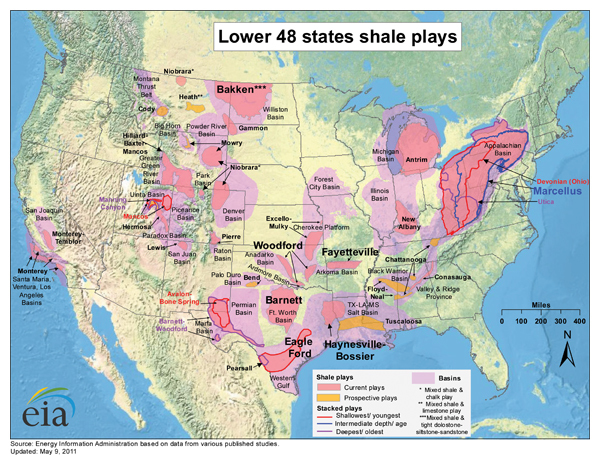 The answer lies with the earth at shale plays concentrated in Texas, North Dakota, and Pennsylvania (see map). 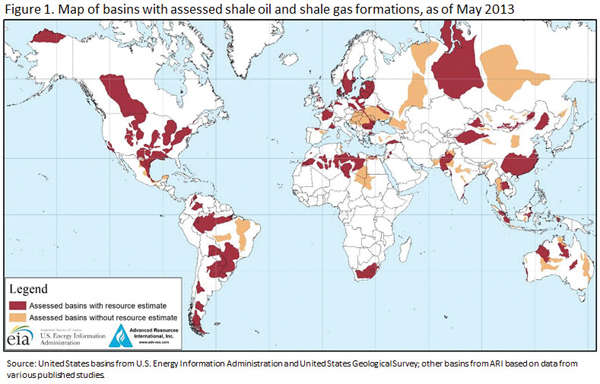 These shale plays have dramatically increased domestic production of natural gas and conversely lowered its price. Natural gas is currently $3.46/MBTU in the U.S. as compared to $11.60 in Europe and above $15.00 in Asia. Consequently, the chemical industry is expanding production capacity along the Gulf Coast to take advantage of a long-term market play. Products created from the methane off of natural gas are intermediate in nature like PVC, styrene, polystyrene, vinyl chloride, polyethylene; all of which are used to make finished products that supply markets in clothing, medical, automotive, food, and housing. The average consumer does not realize the ubiquitous nature of these products. Consider ethylene alone in this example. A working mother wakes up and gets ready for a day at the office. She reaches over to the nightstand to put on her glasses, the lenses contain ethylene. She starts her day with a diaper change. The diaper contains ethylene. She next begins to ready herself for a day at the office. She runs the faucet in the bathroom to clean her face; the water runs through pipes that contain ethylene. The wash cloth she uses was washed in detergent that lists ethylene among its ingredients. The hosiery, shoes, and the suit she puts on contain ethylene. She walks across her carpeted hallway, the backing of which is in part comprised of ethylene, to the kitchen to take out the trash in a bag containing ethylene. She gets into her car, drives on tires containing ethylene, through a Duncan Donuts in the morning to get a cup of coffee served in a cup that contains ethylene. You get the picture. There is hardly an aspect of everyday life that is not touched by the petrochemical products produced right here in the Houston port region, and this example was just about one — ethylene. The potential on the upside is great. This resurgence could lead to nothing less than a shift in the balance of trade with the U.S. becoming a net-exporter of petroleum-based petrochemical products and natural gas. So what does this mean for our region? In order to meet future production needs the most immediate challenge is workforce.